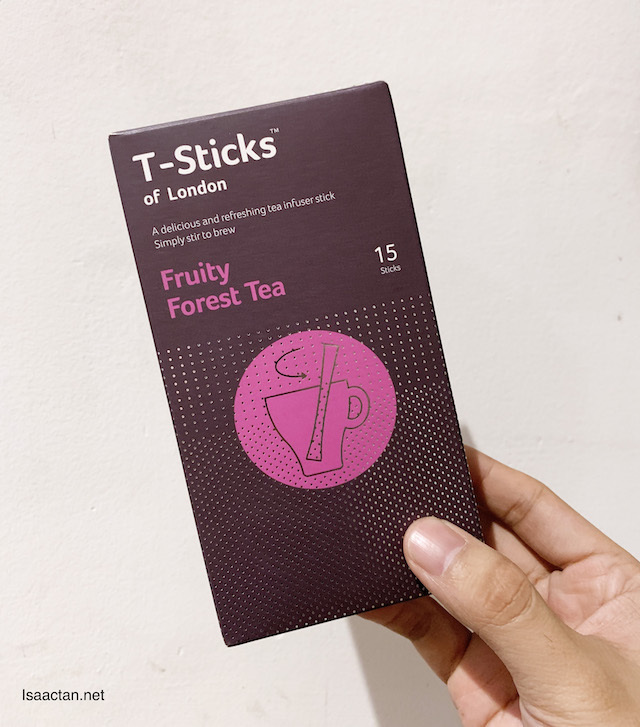 T-Sticks, a creative play on words for these innovative new to the market tea sticks. 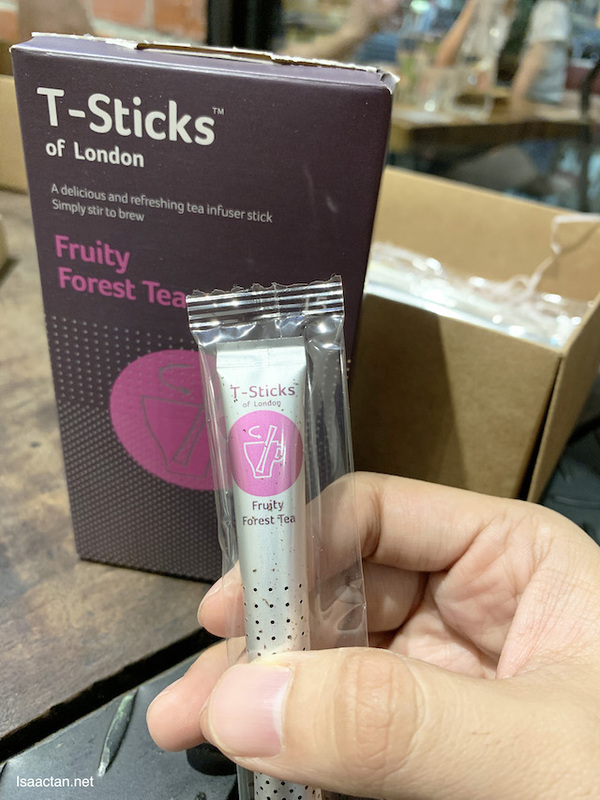 Now I’ve recently been introduced to these T-Sticks of London, with a unique and convenient way to enjoy tea like never before. 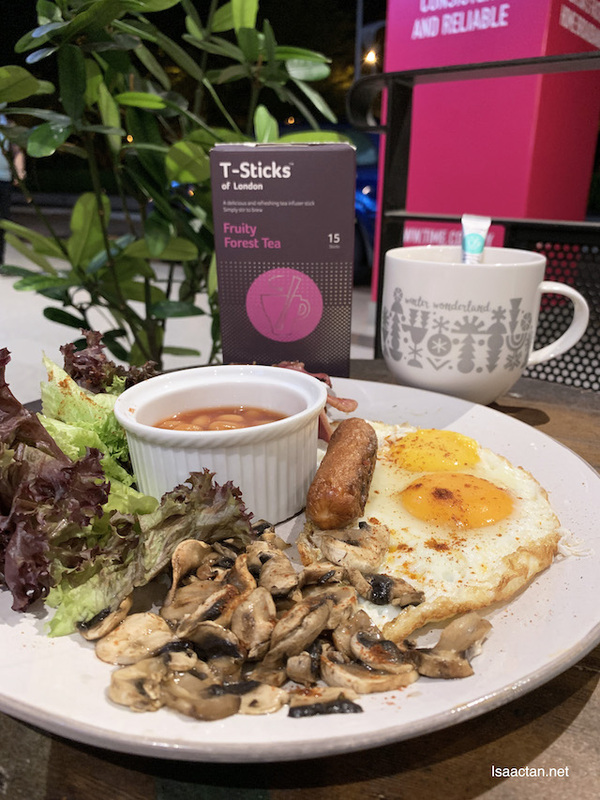 How interesting, T-Sticks of London is a UK product, directly imported from UK. Newly launched in Malaysia, I’ve gotten my hands on some, so do read my take on these below. Freshly cut leaves, encapsulated in perforated foiled sticks, this is definitely a new way to enjoy my tea. A quick unboxing of T-Sticks and I found myself with 15 sticks of these good stuff! Imagine making your favourite cup of tea without a messy bag or even a need for a spoon! What?! No spoon needed? How? Too easy, carrying these were a breeze, and we could enjoy our favourite tea flavours on the go, in style anywhere and anytime. 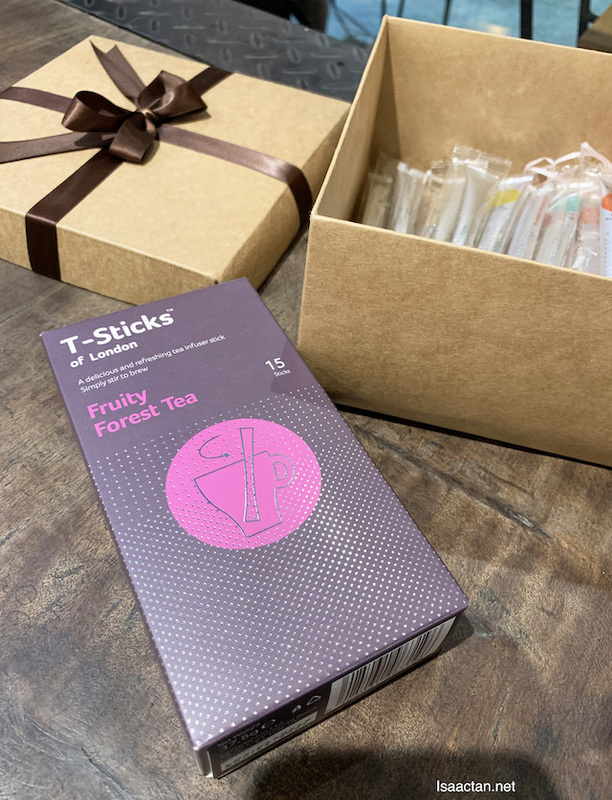 T-Sticks come in a variety of high quality tea flavours, 10 to be exact, sourced from tea plantations around the world. Each flavour is surprisingly refreshing, very well balanced, unique and extremely fragrant. It’s really rather simple, a clever design where the high quality tea flavours contained within the foiled sticks will be released slowly, or fast depending on how quickly we stir the stick. Just get some hot water in a cup, place the T-Sticks inside and stir! With over 400 evenly-spaced micro perforations of 0.08mm on each of the tea sticks, the tea tannins aren’t concentrated and our tea never steeps and gets bitter. I love how fragrant the tea can get. Put the stick in a cup for 2 minutes, and stir. Breathe in the fragrance! 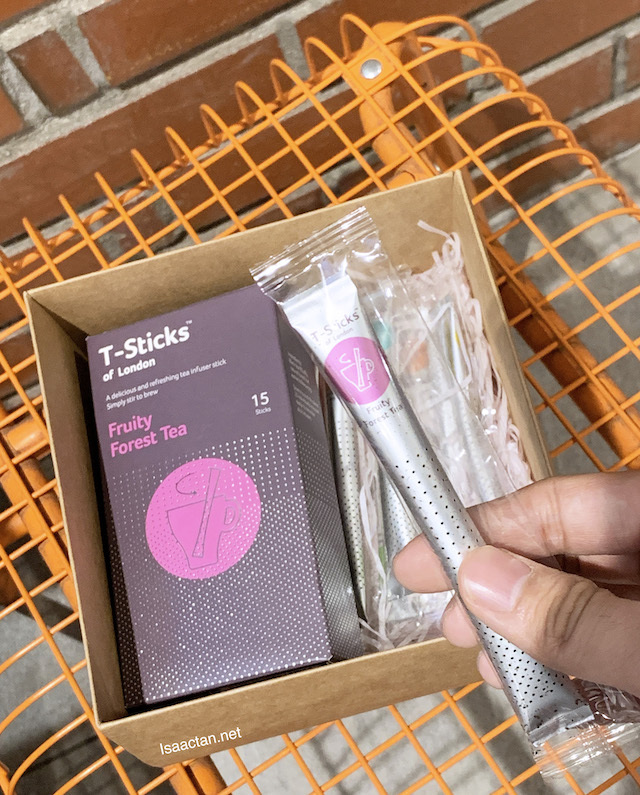 The aluminum foil casing for the finished tea stick product is IFS (International Features Standards) certified and FDA approved and can withstand temperatures of 121°C, reaching the high levels of quality and security for retailers and consumers. A quick 2 mins sit inside the hot water will do the trick. Stir the T-Stick without the need of a spoon, convenience in a flash if you asked me. Goes really well with breakfast, lunch, or dinner! 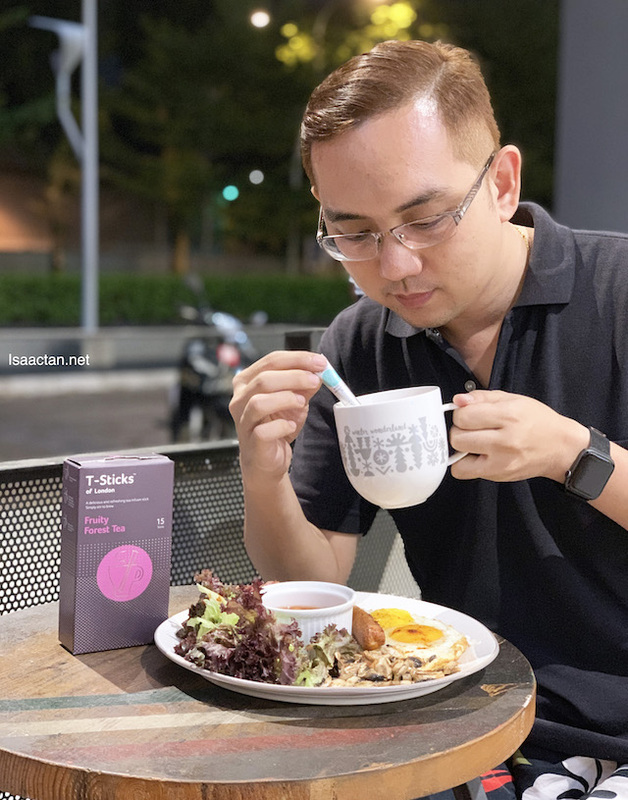 I tried the Fruity Forest Tea flavour, having it with my “big breakfast” set the other evening. 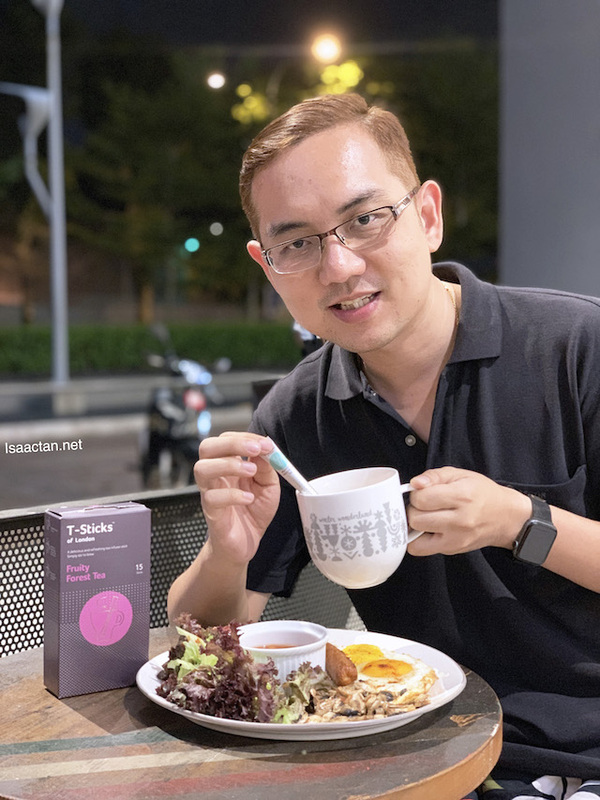 Yes, who says you cannot enjoy tea with a BIG BREAKFAST set at night? Complete with my streaky bacon, eggs and yummy sausages, I savoured the Fruity Forest tea. Classy indeed, yes? The tea is caffeine free and packed with antioxidants to help keep us calm and relaxed. I had a restful sleep after the meal, thanks to the tea! This is actually a very good idea. Won't the tea will have the foil taste as well? Not very environment friendly...and it is individually wrapped in plastic some more!